Knowing where you came from: that’s important. A decent jacket: also important. 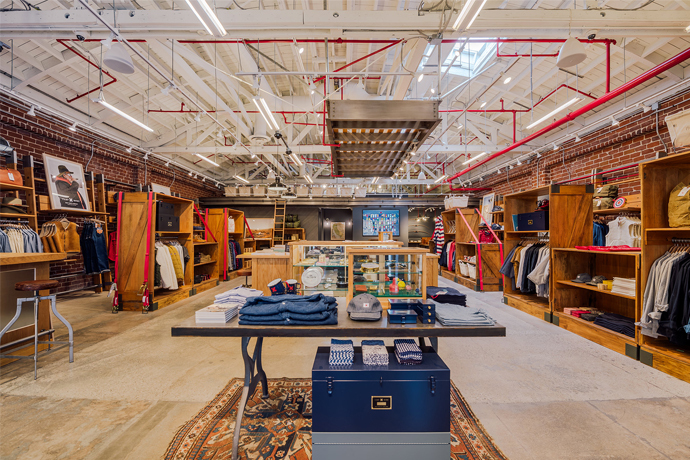 Say hello to Heritage Research, a collection of vintage-Americana clothes that aren’t actually vintage (and that technically come from England), available now stateside at Mohawk General Store. If JFK were kicking around today and hung out at Intelligentsia, he’d wear this stuff. 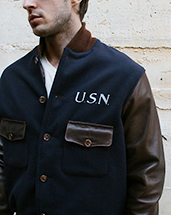 Think military-green parkas, navy button-downs and USN Instructor jackets—they look like letterman jackets, but for the Navy. All with a vibe that’s part classic WWII and part... I-don’t-mind-paying-six-bucks-for-a-cup-of-coffee. So now that the label has made its way to Mohawk (the only place in California it’s available), you can stop in to pick up a little something to wear when you’re catching an old movie at the Cinematheque. Or when you’re heading someplace where you might actually need a parka. If you’re feeling crazy, they even have a green shawl-collar jacket that looks like camouflage, except the camouflage is tiger stripes. If not... they still have it.